I was born in The United States of Albertan parents who immediately took steps to have me declared a Canadian National Born Abroad–one of the first (#302) under the new dual citizenships laws passed by Parliament–which I didn’t take advantage of until I reached the age of twenty-one. Raised in N. Dakota, Lodi, California, Rochester and Granville, New York, I then went on to live in Halifax, St. John, Quebec, Toronto, Victoria, Vancouver, and most recently, Kamloops, British Columbia. A full scholarship student at Stephens College, Columbia, Missouri, I received a B. F. A. in Theatre in 1970. In 1985 I received a Master of Divinity (M.Div) from Knox College, University of Toronto. I am also a graduate of The Dubrulle French Culinary School, Vancouver, (1995) and holder of credentials to teach English as a second language, specializing in helping students with only a rudimentary understanding of English. My choice has proven to underscore his advice over the 50 years which have followed. As a medium which uses no white paint–the painter must reserve surface paper for the whites of clouds, snow, crests of waves, picket fences–it demands thoughtful pre-planning and careful precision. At the same time, because the white of the paper must always breathe through pigment to achieve luminosity, the painter must be daringly carefree and spontaneous. Being both careful and daring requires the spirit of what I can only imagine to be that of, say, a professional golfer. On a good day, it is thrilling. On days when I am not up to the task, it is not thrilling. For those reasons I am a student of watercolour and not an artist. I am not even close to mastering this amazing medium, with its great depths and breadths. Here is way more than enough challenge for a lifetime of commitment. 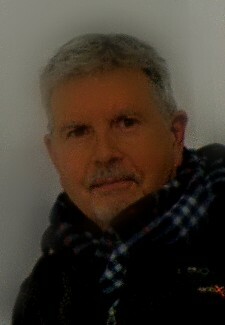 I was a 15 year member of The Federation of Canadian Artists and a nine year member of The Kamloops Courthouse Gallery. One of my favourite pursuits is the painting of miniatures–mostly of birds–some as small as 1″ x 2″. Examples of these are within these blog pages. Commissions are certainly welcomed by contacting me at: weisserlance@gmail.com. Love your talent. I am drawn to watercolour and am having fun giving painting with watercolour a go but after using the more forgiving acrylics, I have not mastered the technique of “enough” “don’t touch it again.” I also spend time in Kamloops visiting my 2 sisters so know the beauty of that area, unique and special. oh my….forgive me for not thanking you sooner for this lovely and encouraging comment to me, Robin King! Well, of course, I have you always near, Cynthia, in book and verse form, if not online. I’m having knee troubles–unable to be upright for very long, something called CPP Disease (also known as pseudo-gout) and now that I know what’s going on, it is easier to deal with. I’ve also been quite involved in our Canadian Federal election campaign. We are all enthused that our new Prime Minister Trudeau is on board. I do truly hope you are well, and thank you for your perceived concern. Forgive my absences. Me too. I hope everything is all right with you…. Are you still limping sir? I miss your work. Delighted to have found your blog with all these tranquil watercolour scenes. Watercolour is a beautiful medium, probably my favourite – and certainly perfectly suited to nature and such images as yours. I’m very interested in the natural Canadian environment.. not that I have been able to spend any time in it as of yet, but I’m glad to see you have roots within it. Lance, your paintings are wonderful…. It saddened me reading your words, “choosing one medium and staying with it one’s whole life made infinitely more sense than switching from one to another.” Not so! Jumping between mediums is fabulous—each offering a different mode of expression and using a different part of your artistic sensibility. I daresay you’ve mastered watercolor. You owe it to yourself to explore others. You can always return! Children are presented with water color in school but never taught the basics like merely letting things dry and proceeding in increments or using a light pre sketch. They wind up with one watery mess and get disappointed or even disgusted with water color. I think a lot of talent gets undeveloped in kids as they dismiss what appears to be a messy waste of time with water color. Thanks visit my blog. I went to the other site – what wonderful birds and the tiny ones are fabulous. Thank you for stopping by my blog. I like your work – especially the hare and Junco and the other bird. Manchester in 65 eh? Weston was my home but I left for NYC in 65. Visited your website. Your work is beautiful! Thank you for your very thoughtful words and for taking the time and please forgive me this tardy response! thought of sharing this little award with you … hope you accept it..
Lance, I have two of your early water-color paintings hanging in our home. Both painted in the spring of 1975 in Orange County NY. One is of a “black dirt” farm and the other “a white house”. They are very special to me and remind me of a friendship long ago. I applaud your commitment to your chosen form of art. It is so easy to start something and then feel like you have mastered it when you are better than most of the others that have tried it. At that point it is easy to feel like you should move on to something else, but if you do you miss out on an opportunity to reach your full potential. I’m sure that these thoughts aren’t new for you, but it is something that I am just starting to understand. Thank you also. You live a very interesting life. thank you for being so curious–I am so behind in blogging! I will post soon about the Opening–and it went well–but now I must paint some miniatures because the Show put me wayyyyy behind in painting other things. Painting and blogging don’t always compliment one another, time-wise! I hope all is well in your world, Jenny! Thank you again for asking about me! Just nominated you the Sunshine Award!!! How very kind. I will equally enjoy looking more closely at your postings. I admire graphite work very much. I really think watercolours are amazingly pretty though, and I’ll be glad to sift through your future posts and get a good look at an artist who can weild them as well as you do! How very kind! Thank you for returning the visit–I can see your have many interests and have a way with words. Thank you for your encouraging words today, Darlene. Thank you for visiting my blog. I love your water colours and enjoyed reading through your posts. Thank you Kim, and congratulations. I’m appreciative of being told, friend. I appreciate the nomination very much. Although I don’t accept awards, it means a great deal to be nominated, and I am gratified. oh your poor tita. That was in the fall of 2009. How is she now? Not so much on Tsunami but more on typhoons and flooding. I live in Marikina Provident and there was a huge flood with Typhoon Undoy and my 78 year on Aunt was on the 2nd floor roof for 24 hours. I was still living overseas then. it must be a perennial concern where you are–nothing to be presumed upon, or taken lightly. there are no words for this form of natural disaster. you are so sweet, jen. thank you and don’t forget to do those clocks. Sorry was not able to respond right away to your likes because I was busy training for work. Anyway, thank you for visiting and liking my post..;) Happy weekend. Yeah, I find it difficult as well because I enjoy everyone’s blogs so very much! Oh Lorelei, far from any ‘offence’! I am grateful for your thoughtfulness. And awards aren’t a negative thing for me at all at all at all–I am very complimented by the nomination, yet sort of uncomfortable about having to choose between friends when expected to do the nominating, that’s all. Thank you very much for thinking of me. I appreciate your posting a great deal–thank you for being so supportive! Thank you very much for taking the time to visit this site, Laz. I must tell you that I am having difficulty linking onto your webpage/blog. You have no link on your ‘gravatar’ that accesses your page. So I am going to email you, and see if I can get to view your work. Your gravatar bio is very intriguing! And for the following too! Thank you dear Nia–you are very sweet to nominate me. I just love your Wellington bookmarks, and your project. It is so wonderful. I am thinking of doing the same here in my city–and I wish other artists would take it up. It is such a lovely and thoughtful mission. Thanks for following me. Your watercolours are lovely. I am enjoying your sketches. You are following your heart in your work, and it shows. Thank you so much for taking the time to look at my blog today. Your paintings are completely exquisite, I’m blown away. Who knows why. But this is not a problem, not at all. Why didn’t I see this until now? I apologize! Thank you, Cornel, for being so kind to me and everyone who visits your photography site. And thank you for sending me the photos of the birds, allowing me permission to paint from them! ohoh, now you’ve caught me! The truth is, Pauline, I decided a while back I can’t do this with the awards because I can’t choose between my 80+ blogger friends. I would have to nominate you all, which violates the conditions. (So if I don’t nominate, I don’t also accept, much as I feel a little stupid for being this way.) You are a ray of sunshine in this cloud-covered day, however, and every day. How nice of you to say that! Enjoy. Do you know how to put the symbol on the side of your blog, so all can see it? They say turnaround is fair play, so you helped me and now it could be my turn to help you? If anyone should get a ‘sunshine award’ it should be you, Pauline! Thank you for your kindness in always thinking of others. I nominated you for the Sunshine Award! Thanks for all your lovely posts! See my blog for details. Thank you for being so kind to me, ‘kofegeek’! I am enjoying your drawings very much, and thank you for thinking of me with this honour. Thank you again…I would actually expect some of those. I had an idea for doing a back-alley series (during daytime at the time) last year but never got around to it, and we do have some very interesting alleys-not to mention a few interesting things tucked away in them. That is particularly generous of you Adam. I don’t have the talent, nor the ability to see what you see and record it for myself. Being a native, you know where to look and at what to point. Were I to take you up on your happy offer, I’d likely attempt a Richmond alleyway at night. I love your nocturnal adventures into that very historic and spirit-laden city! It is a particular pleasure to have had this from you, I must say. In all deference, it makes me most happy to see you garlanded with it because this Award has been most deservedly bestowed on you, dear friend. And I must say in all candour that it’s a pleasure for all of us to see your mischievously-smiling face come to light recently, for now we know better whom we’re dropping by to visit. We know what’s in your cupboards–and now it’s even better to see who it was that so interestingly filled them up, while tying everything up with a good story. Our objects are dear to us because there’s always a face, a laugh, a situation, and a person who held and shared them with us. Just don’t let that dog anywhere near that cabinet. That is more than considerate of you, Matt! Thank you very much. I will certainly let you know if/when I base a painting on your photo, and give you credit should I post it on line afterwards. Thank you very very much–it is a super glimpse of a lovely spot at just the perfect time of day. Thank you also for your kind words about my paintings. Thanks for stopping by my blog, and I’m glad you liked the sunset photo. You’re absolutely more than welcome to use it for a painting! I’ve enjoyed looking through some of your past work on this site. Awesome stuff! Thank you for sharing your photos with us. Thank you for these lovely words. I have sent you an e-mail with the explanation. This way your blog stays as nice as it is. It’s very invigorating to have you weigh-in on the wisdom of sticking with one artistic discipline or keeping one’s fingers in many creative pies, JoDee. Of course, what my late instructor told me in the summer of 1964 was spoken very personally to me after taking me aside. It wasn’t his generic advice to everyone on earth, nor do I believe it should be so. However, for me his words proved to be a tremendous help because it has now been 48 years since he said it, and I’m only just beginning to learn about watercolour. My personality is such that I quit easily, and his good counsel has helped me stick with it and immerse myself more in the endless challenge this medium alone leads me into. You have a lot masterpieces. You both write and photograph entertainingly, and I am very happy to have happened upon your site. Thank you for giving me more background on your journey and I will take interest on where you lead us next. Thank you for your encouraging words. Thanks for liking the photos! Oddly enough I got into visual arts determined to be a watercolor painter and graphite artist. Somehow it segued into writer/photographer. I say somehow because I don’t want to admit I got frustrated with it all and stopped. Secretly I want to try again some day. Very nice paintings, by the way. It’s most certainly an impossible seeming medium to work in; I have a profound appreciation of anyone who lasts more than six months with it. Thank you, Cowboy–you have a great appreciation for the big outdoors and all the wildlife and freedom within it. There’s a lot of ranching done here, so we have that in common! Thank you for your kind remarks today. Thanks for stopping by my blog today. I’m glad you do, I believe I’m going to enjoy yours also……. It’s mutual! I envy your situation, while celebrating it with you. Thank you for your kind remarks. Welcome aboard, Lance. It’s a pleasure to meet you. We do enjoy your work. If they come close to your photographs, I’ll be more than pleased. I hope visitors here will take advantage of your ‘gravatar’ and visit your Yellowstone region images. The winter scenes make me grateful you go out when you do–the icy blue snow and setting-sun-kissed ice. Great site and art. I really enjoyed looking through your work. Your paintings have simple, elegance that remotely remind me of some Japanese art, but they have a very distinct style that is all your own. Great stuff. I’m glad to have made a mini-contribution to your etymological bliss. I may finally make my transition from sketches to paintings, but I have to do my research on what type of paint and surface I should use. is something I should probably consider. I’m going to say it’s safe to apply that to ‘master one skill’ as well since I’m trying to write, draw, paint amongst other things. How long did it take you to ‘master’ or get to this stage in your ability to paint? I admire you and your art. Thank you for taking the time to comment. You capture the spirit and essence of those you draw and paint–so illusive and difficult, yet it comes off as a breeze! Thank you x 38 times! I truly appreciate you appreciation.